Perhaps unsurprisingly, this DVD release of the cult children’s comedy doesn’t boast about one of its big guest stars: one Gary Glitter. Yes, the erstwhile glam rock legend and future child abuser plays a bequiffed, piano-playing pigeon racer named Newcastle Brown in the episode ‘Supergran and the Racing Cert’. It seems doubtful he’ll ever get a part in a children’s show again. Based on the books by Forrest Wilson, this mid-80s series was, as the title suggests, the story of a grandmother with amazing superpowers – though in actual fact it’s rare that Supergran does anything more super than ride around town on a pair of rollerblades or occasionally jump a high wall. Worst. Superhero. Ever! 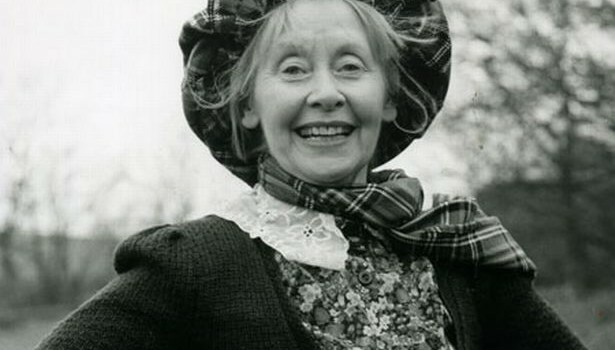 But what she lacks in spectacular powers, Supergran makes up for in smiley enthusiasm, and Gudrun Ure is appealing and annoying in equal measure as the tartan-clad pensioner. Every so often she also gets to ride a flying bike (a “flycycle”, naturally), which to a child of the 80s was almost as spectacular as a Batmobile and certainly more believable. As is the way with many shows you fondly recollect from childhood, Supergran doesn’t hold up particularly well. The excitable but creaking episodes all follow a similar structure, with baddie The Scunner Campbell (the great Iain Cuthbertson) and his gang inventing dastardly new schemes before being thwarted by their aging nemesis. Eventually the repetitive nature begins to wear you down – at least viewed through adult eyes. The overplayed comedy is dated and rarely funny, and the editing now feels rough and badly paced. It’s difficult to be too harsh – this was designed as a kids’ show after all – but nostalgic adults (who will be the main ones picking this up) are likely to feel vaguely crushed. Meanwhile, modern kids will probably haughtily dismiss it as crude and slow. They might have a point. While one instalment makes for retro fun, it’s a brave soul who can make it through all 13 of these episodes. There’s an interesting mid-80s ‘making of’ documentary narrated by the Dateline reporter who opens every episode (voiced by Bill Mitchell). The doc charts the pressures and problems during filming in freezing Tyneside, as well as the origin of the show. Gudrun Ure sounds remarkably posh in real life.